Last 29th February the Teatro Principal de Palma hosted the institutional act to commemorate the Day of the Balearic Islands. 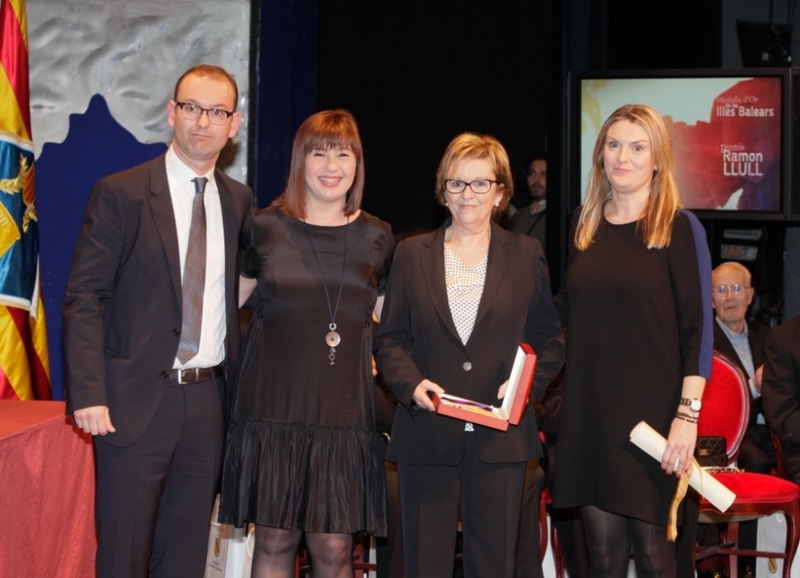 In business field, the Ramon Llull Award honors posthumously Mr Bernardo Pons Casals. From young age, he began working in the family business, Metalurgia Pons, which was initially a jewelry enterprise. It was however with the First World War that the company was reconfigured into a hinge factory, exporting nowadays its products to more than 40 countries all over the world. 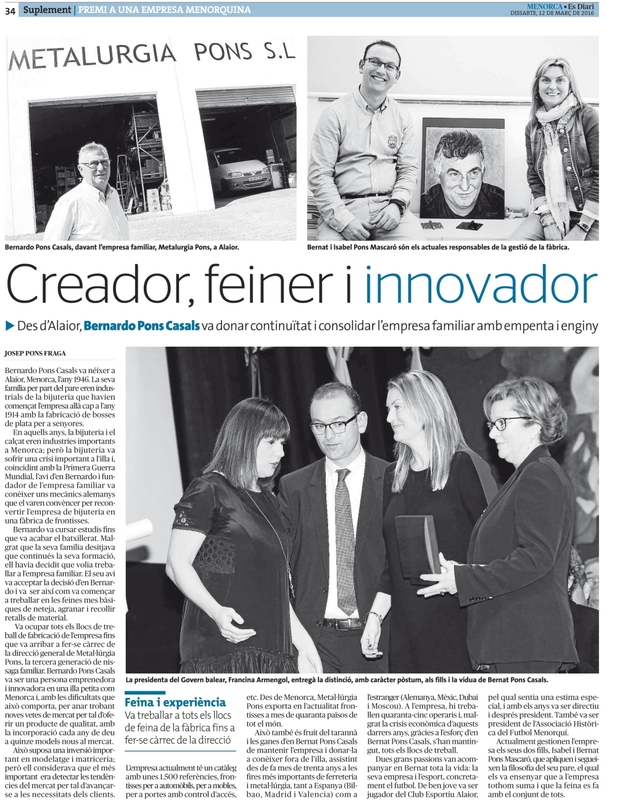 As per the Government, "Bernardo Pons Casals transferred to the current managers, his sons Isabel and Bernardo, the passion and the philosophy with which the company continues being one of the most firm values within Menorca and the Balearic Islands”.